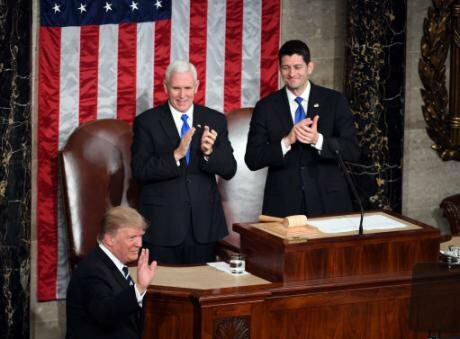 President Donald Trump on March 1, 2017, rolls out his "America First" agenda in his first speech at a joint session of Congress since inauguration. Xinhua/Press Association. All rights reserved.On April first the United States assumes the rotating monthly presidency of the United Nations Security Council amid widespread alarm over talk from US President Donald Trump that his government is considering drastically reducing its financial contributions and involvement in the UN. This could pose a serious blow to the global body tasked with international peace and security. The UN is not perfect. Perhaps two of the most damning examples of recent UN failure are negligence by Nepali peacekeepers in Haiti in 2010 – over 700,000 people were infected and more than 8,500 died from cholera – and a pattern of sexual exploitation and abuse by peacekeepers, especially in the Central African Republic since 2013. The UN is increasingly likely to publically name countries whose troops perpetrate such atrocities and to send guilty contingent commanders or whole contingents home. The other big factor, says Ian Johnstone, professor of international law at the Fletcher School of Law and Diplomacy, is countering violent extremism (CVE). If this becomes the principle motivator to establishing peace operations, we are likely to only see significant political support for new missions where there is the threat or perceived threat of terrorism. CVE needs to occur but, again, narrow military solutions and unilateralism are ultimately self-defeating. If this becomes the principle motivator to establishing peace operations, we are likely to only see significant political support for new missions where there is the threat or perceived threat of terrorism.